Situated on the Eastern side of the Calabria coastline, it is touched by the Ionian Sea, Crotone was founded by the legend narrated by Ovidio, by the God Ercole, in his friend Kroton's honour, who he killed by mistake. 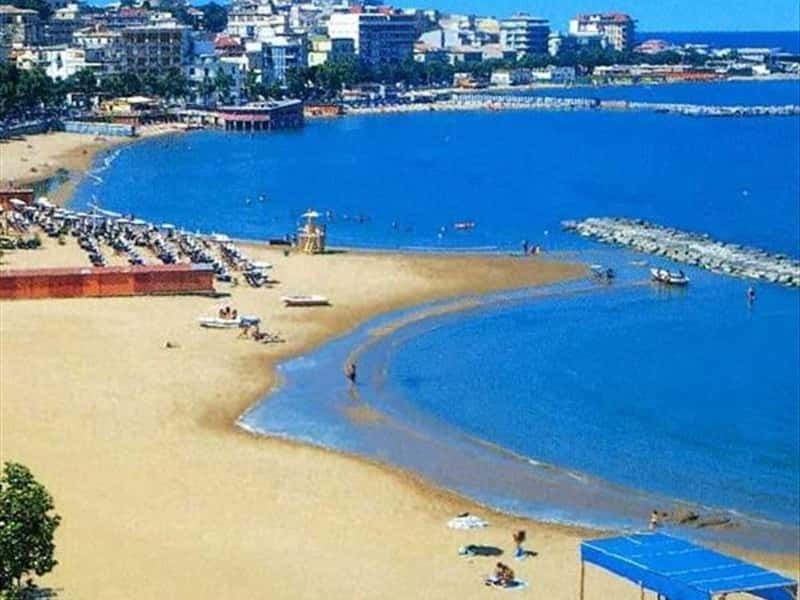 Already famous at the times of Ancient Greece for its mild climate, Crotone was the birth place of the many time awarded Olympic champion Milone and seat of the School of Mathematics and Science of Pitagora. In 277 b.C. the city was conquered by the Romans at the command of the consul Cornelio Rufino. The city registered its rebirth at the decline of the Roman Empire under the Byzantine hegemony, and later on under the dominion of the Ruffo Family and the Aragons. In the old part of the city rises the castle of Carlo V, built in 840 to defend the territory from the Saracen invasions, and was enlarged in 1541 under the supervision of Carlo V. It has a polygonal shape with fortified towers in every corner and is an important example of a hill side surrounding castle, rather than a hill top one. In the old city centre, Via Risorgimento, the National Archaeological Museum preserves the traces of the antique Kroton; the main exhibits feature the treasure of Hera, excavated from the Greek temple entitled to her in 1987, with precious pieces such as the Gold Tiara and the medal collection with antique Greek and Roman coins. The temple of Hera, in the Greek Ages was a secure place for personal safety. This specific one in Crotone is one of the largest of its kind, built on a promontory in an area which today has become an Archaeological Park. The Cathedral of Crotone has origins of the IX century, but the construction was completed only in the XVI century. The façade features a classic style and the interior is divided into a main nave and two aisles. Inside the Chapel of Epiphany of '800, richly decorated with plasters and paintings and preserves a Byzantine table that features a black Madonna, known as Madonna di Capocolonna. Worth of mention: the engraved wooden choir stands of late '600; a masterpiece of '700 of the local artist Nicola Lapicola; a Baptismal font of the XIV century and a superb pulpit of '800. Not to miss: the Church of Santa Chiara, built on the ruins of a monastery of the '400, with frescos of '700 and a beautiful pavement in Neapolitan majolica, and a Baroque style Church, entitled to San Giuseppe, with an important wooden portal. Worth a visit: the Noble mansions and palaces of: Palazzo Galluccio, Palazzo Morelli, Villa Berlingieri, Palazzo Olivieri-Susanna, Palazzo Sculco, Palazzo Giunti, Palazzo De Majda, Palazzo Albani and Casa Zurlo. This town web page has been visited 26,218 times.